What exactly makes a dish “southwestern”? One of my favorite kind of food is Mexican food and southwestern food has becoming strikingly similar. Considering the southwest region of the country, there is a lot of heavy Mexican and Native American influence in cuisine. 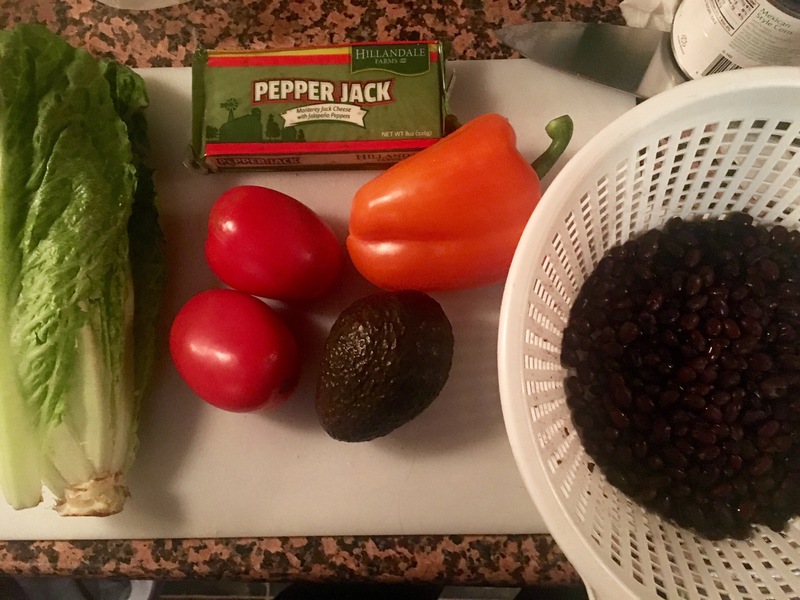 The food is almost always spicy and a medley of flavor with several components to a single dish like the salad I’ve made today. Today I was craving a good salad but the typical Caesar and Italian salad get a little played out. 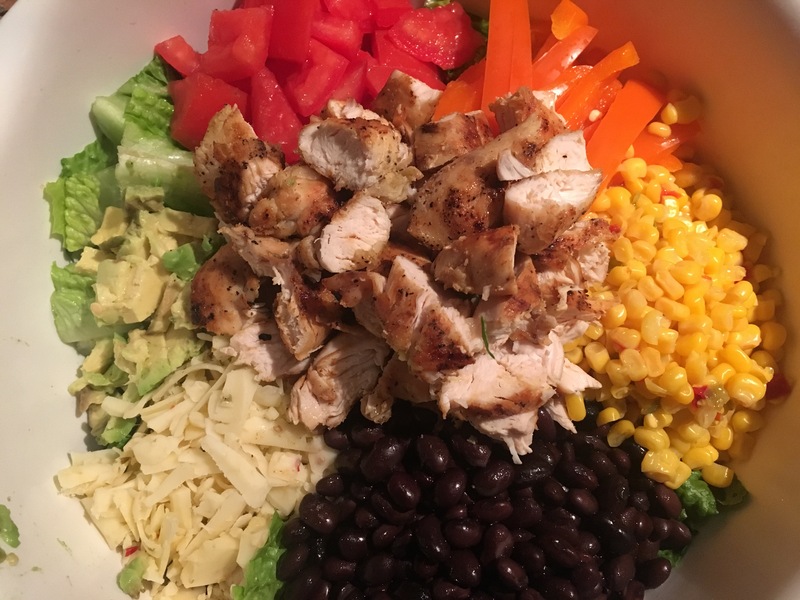 At many restaurants, a southwestern salad is now available. It keeps the concept of a salad while having a big bed of fresh greens but there’s more ingredients than your typical lettuce, tomato and crouton kind of salad. 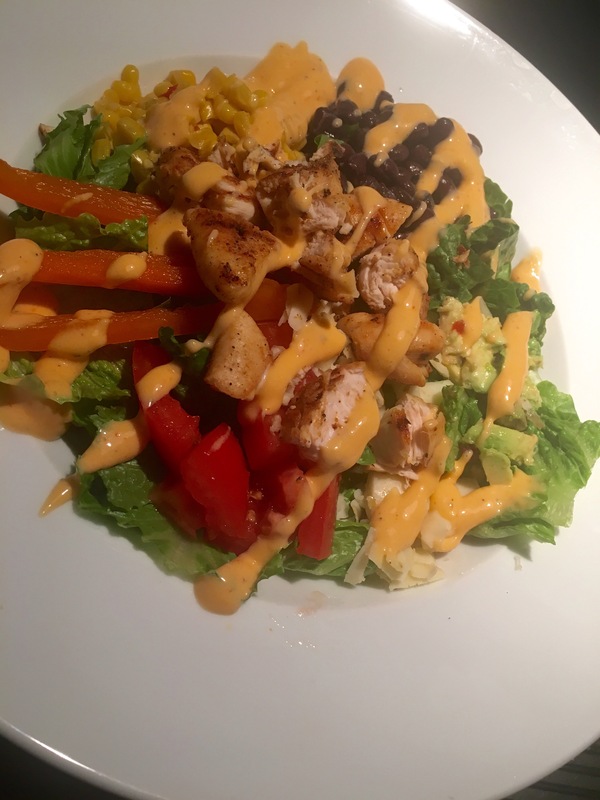 The best part of the salad is spicy grilled chicken. It’s the middle of February so anything grilled with the flavor of summer is a good pick to me. So, let’s start with the spicy chicken. Evenly season chicken. If you have time to let it marinate than by all means go for it. Heat a grill skillet to medium high. Because the bottom of the pan is rigged, there is no need for lots of oil. The chicken won’t stick. Let the chicken sit for 5 minutes on one side to get nice grill marks, then flip over for another 4-5 minutes or until fully cooked. Take off the heat and let chicken sit. While the chicken is cooking, you can use the time to chop your ingredients. 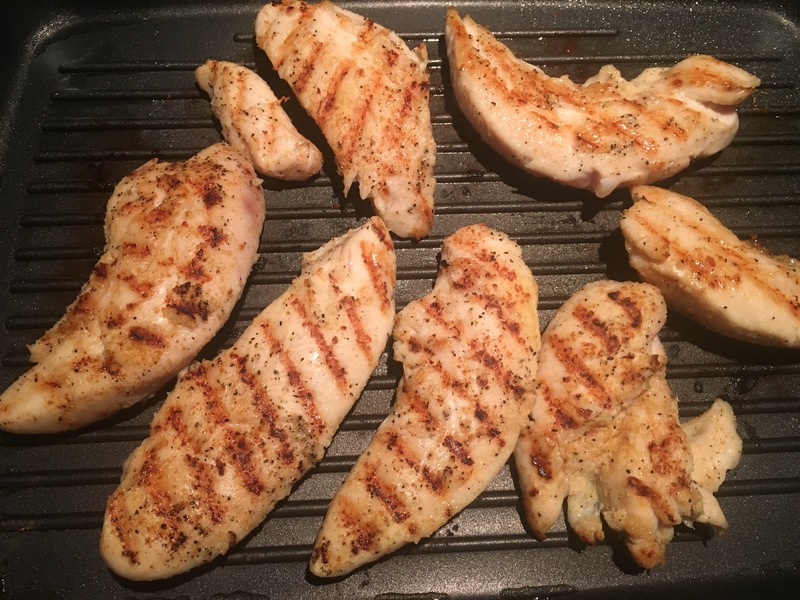 Between the 10-12 minute cook time for the chicken and the 10 minute rest period, you’ll have plenty of time. Chop lettuce horizontally into 1/2 pieces. Put your lettuce in large mixing bowl. Grate about 3/4 of a block of pepper jack cheese or cheddar cheese if you prefer to skip the heat. Drain and wash black beans and let sit until you’re ready to put in salad. Open one can of corn, most likely you will not need the whole thing.Chop avocado and tomatoes. Slice the orange pepper into strips. At this point, your chicken should be off the stove and ready to be cut. Assemble the salad and that’s it! Toss the salad up and enjoy! I served mine with a sriracha-ranch dressing. Just buy a bottle of your favorite ranch and add sriracha until desired heat level. Took me about 25 minutes all together and it made about 7 servings. So yummy and so worth it.